Construction is progressing, though the pictures do not appear significantly different. In the U.S. the interiors of the walls to include plumbing and electrical rough-ins occur from the inside out. 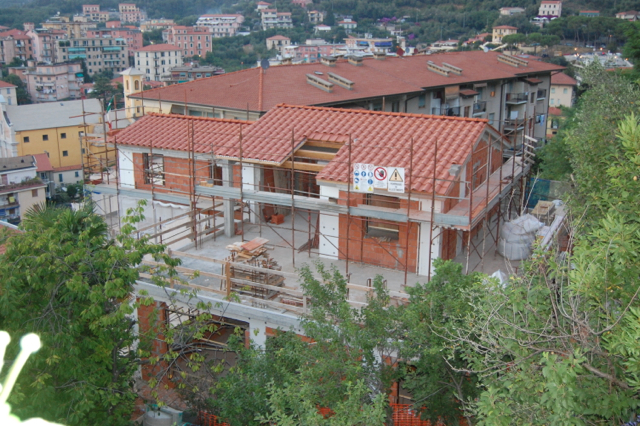 In Italian construction, the walls are all built first and then they are cut out appropriately to place electrical conduit and pipes. The location and selection of all the electrical components, plumbing, kitchen, and flooring is complete. The marble widow sills and soon the windows will be installed. Exterior walkways, stairs, and access are nearing completion.